This is my pleasure to invite you to participate in the 2nd All Afrikana First Youth Congress(2nd AAFYC2018). 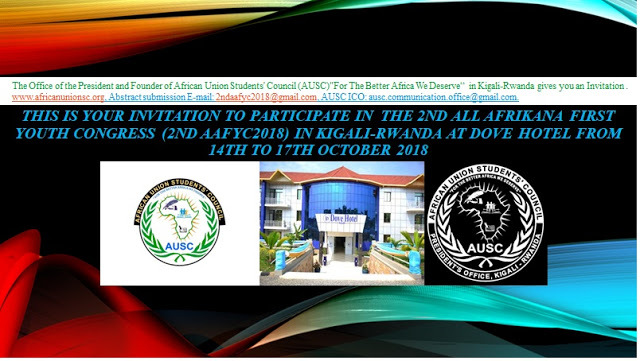 The purpose of this invitation also is to request for possible financial and technical support from Secretary General of United Nations (UN) and the United Nations Development Programme(UNDP) that You work with to recommend continuous annual assistance to the Office of African Union Students' Council (AUSC) President in order to be able to keep maximizing our annual Congress activities . The Congress of this kind aiming to achieve United Nations(UN) Sustainable Development Goals(SDGs) by involving Young Generation of today specifically those in academic positions in Africa require your support. 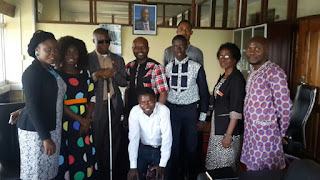 Therefore, I am humbly getting to your highest position to advocate with much appreciations to the Young people from different country members of United Nations(UN) who are trying to put together their efforts in forming such kind of Events through Associations and Organizations in order to create ways to achieve United Nations(UN) Sustainable Development Goals(SDGs) including African Union Students' Council (AUSC)"For The Better Africa We Deserve". 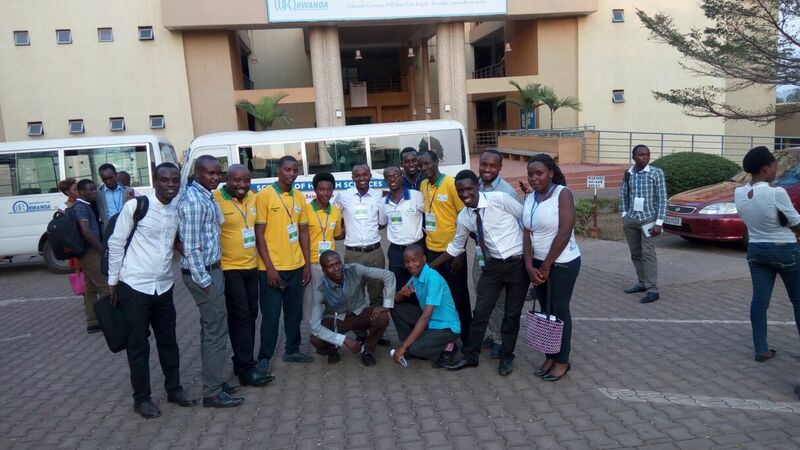 Therefore, we are humbly requesting your decisions to be taken to accredit, recommend and bless our 2nd All Afrikana First Youth Congress 2018 which will take place at DOVE HOTEL, KIGALI-RWANDA by offering to our Organization African Union Students' Council (AUSC)"For The Better Adfrica We Deserve" with United Nations Development Programme (UNDP) via any financial and technical support as far as you can. We are pleased to invite you to participate in the Second Annual International Congress of the African Union Students’ Council (AUSC)”For The Better Africa We Deserve” the 2nd All Afrikana First Youth Congress 2018 (2ndAAFYC2018) scheduled to be held on 14-17th October 2018 in Gasabo, Kigali, Rwanda. The Congress will be held at the DOVE Hotel located at Gisozi up Hill, the Opposite of Universite Libre De Kigali (ULK) Road from the Cyinamba Bus Station folk left on the main Road from Nyabugogo Main Bus Station to Kacyiru Main Bus Station towards the Kigali International Airport. The three-day AUSC event is hosted by the Office of the President and Founder of African Union Students’ Council (AUSC)”For The Better Africa We Deserve” to bring together the leaders , members and friends of AUSC from different African regions and the Diaspora , to foster international networking and share experience with aim to produce Congress declarations that will be guiding the AUSC in its vision and mission in order to build the better Africa We deserve as young generation of today and as deserving our next generations in Africa and Worldwide . During 2ndAAFYC2018 you will engage with delegates from different organizations and institutions facilitating successful African cultural values and innovations that are aiming to transforming Africa and the world. Theme of this year 2018 : “Linking Youth activism in accelerating African Development towards United Nations (UN) Sustainable Development Goals (SDG) and African Union (AU) Agenda 2063". We look forward to your participation and willingness to share your experiences and expertise. If you have further questions please do not hesitate to contact the 2ndAAFYC2018 Organizing Team via e-mail: 2ndaafyc2018@gmail.com. Find registration fees structure on attached concept note. Best Regards. 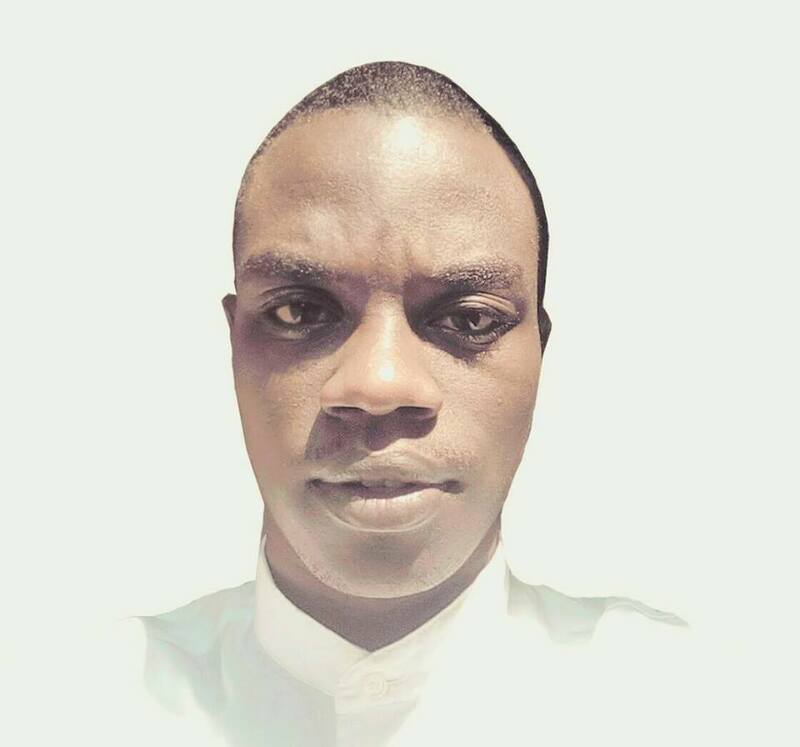 Copy Rights 2016, African Union Students' Council (AUSC)" For The Better Africa We Deserve", All Rights Reserved. Founded on January 1st, 2016, 5th international Development Students Society (IDSS)’s International Students Camp, Zanzibar Island, Indian Ocean, East Africa, Tanzania.